How to find all leap years between two given years in Java? Home Basic Date Questions How to find all leap years between two given years in Java? 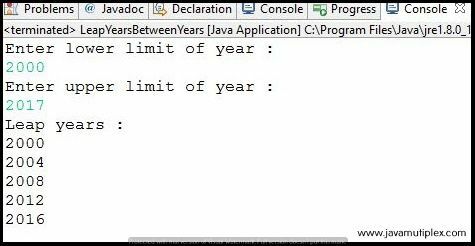 Write a program in Java that prints all the leap years between two given years with proper validations. 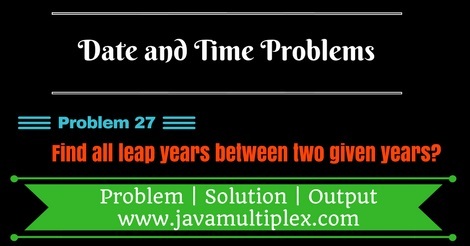 Output - How to find leap years between two given years in Java? Tags : Date and Time problems, leap years between two years, Solution in Java, String, Regular expressions, if else statement, for loop.